It's very possible that your modem isn't capable of handling efficiently the vast number of connections that bittorrent downloading requires. It could also be a bandwidth issue, if your allowing BitComet to use all your bandwidth, then your browsing will suffer and may "time out" while trying to make connections. Please run a speed test with no other programs or computers using your internet connection. Go to Speedtest.net, and you can post your results here if you want us to help you with the settings, or we have a settings guide in the forum that will walk you through the whole process. The guide needs to be updated, because it was made for a very old version, but all the basics haven't changed. Either way, I suspect we can find settings that will allow you to improve your browsing while downloading. is this what you were after the usual suspect?? You'll have to pardon our skepticism, but most of the time we prefer not to take users on their word and request for the exact make and model of the device. So, it happens that loads of modems these days are in fact combo devices which include a router as well. I'm pretty sure that TUUS was after much more than that. But for starters we could take most of what we need from a screenshot of the Options-->Connection page and one of the Status tab. Try to elaborate what you mean by that. and when i click on diagnose problem i get the error "The DNS server is not responding"
What are you talking about? WHERE are you clicking on diagnose problem? Try for a couple of minutes to imagine that we're actually not sitting in front of your computer and can't see what you see. Therefore only hints and shreds of info won't do much good. 2:speedtest results: I ran the speedtest from speedtest.net and was not sure if this was what (The usual suspect was after from there message dated 12/feb2011) and do not really know how to post or take a screen shot of my Options-->Connection page and one of the Status tab. any info on how to do so and then i can post such infomation. 3:my internet shuts down constantly, when i try to download a torrent ( this is for windows 7) at the bottom right han side of my screen the is a little cpu screen picture showing near a speaker button, the little cpu screen which denote's my internet conectivity becomes covered with a (! )mark in a yellow triangle. when i click on this icon it opens my (internet connectivity) page. when this page opens it shows a little box in bottom right hand corner which says (Currently connected to: No NetWork Access)underneth this it says (Open network conections) when i clich on this link, it open up another page, which the header of this is (Control Panel\Network and Internet\Network and Sharing Center)where it shows my conection on a small flow chart (MY CPU>NETWORK>INTERNET) now betweend network and internet ther is a red cross when i click on this red cross it says diagnosing problems when this is compleated iam given the ERROR message: "The DNS server is not responding", Again if a screenshot or somthing else would hep I would Be more than happy to oblidge but will need some instruction on hoe to do so with (windows7). once again sorry to have upset anyone but as above stated in am proberly a fair novice at this technical stuff and any help would e very much appreciated. Your not offending anyone here. We are only trying to help all members in the most efficient way possible. I think you'll find we are willing to help users at any knowledge level and only ask that users try their best to communicate what problems they are having as best as they can. It's a stressful job, and our staff are all volunteers, so please dismiss any thoughts of a staff member being offended. I can be hard to tell a person that they haven't described their problem very well, and if we simply said that, many users would reply asking what we want to know, then after a couple of weeks and dozens of replies, we might finally get the info that could have been provided in a simple screenshot, so our staff sometimes like to skip to the end and get novice users to post screenshots for our review. We have a "guides and tutorials" section, and within it there is a guide for making and posting screenshots. It's a very easy process and is the easiest way to give us information that you see, but don't fully understand. If you want to understand these things better, then your at the right place and we encourage you to stick around and do some reading. If you simply want help to resolve your problem, then your still at the right place and do what is asked so we can gather the necessary info as effortlessly as possible. @greywizard. I think he is referring to an error on his internet browser, but is unaware that his browser (probably Internet Explorer) is a separate program and not a part of his computer's operating system nor bitcomet. @Bonzey, This is why a screenshot of anything you can't fully describe can erase a lot of confusing when trying to help you. I was just trying to give you another perspective on the matter: OURS. It's pretty annoying to read a request for help and after going through it to realize that you can't actually help that person as s/he didn't give you any valuable info to work with and all that you'll be able to do, will be to waste your time writing a post where you ask for more info. We CANNOT trust a user to be a geek who always knows what s/he speaks about, and therefore we always ask for a full description of the setup, in order to draw OUR OWN conclusions, instead of relying on those of the user. After all, if all his/her conclusions were that good s/he wouldn't be here asking for help, as s/he would have solved his/her issue alone, wouldn't s/he? At some point every person who works tech support makes the mistake of taking to his word, a user who seems to "know what he's talking about" and not double check certain things about the basic info, because the user reported that in that area "everything was in order" or that "he had checked that thing and didn't find any problem". Then after lots of back and forth messages, unending questions and tests you're working together with the user, at a certain point you discover that he unawarely ignored and misreported some very important setup data that would have helped you solve the issue in, probably, a fraction of the time you wasted fruitlessly just because you confided in his technical judgment skills. This will usually be a bitter reminder for you as tech-support, to NEVER make that mistake again. This doesn't mean that all users who ask a question on a forum are newbies or people that aren't "tech-savvy" (perhaps many of them are way better than us in a lot of areas) but just that, as a golden rule, no moderator on a tech forum will ever trust you to "know better" what info is needed and what isn't, you'll have to provide all the boring details, if you really want an answer. And usually, those very tech-savvy almost ALWAYS provide the needed details before being asked, as they can judge for themselves that they'll be needed. Now, coming back to your issue, my skepticism, manifested in the previous post, is once again fed and seems to have been well founded. 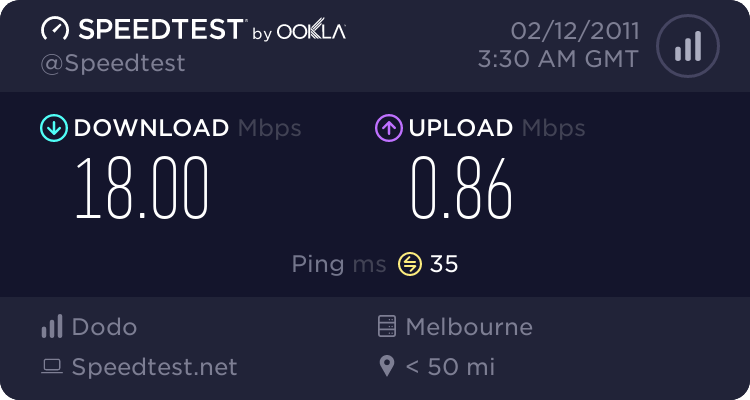 Well, a quick search (it took only 0.24 seconds B) ) on Google proves you wrong and myself, once again right to never trust somebody else's opinion and draw my own conclusion: http://www.netcomm.com.au/netcomm-products/adsl-broadband/nb7. You can see for yourself that your "modem" is a combo device which includes a router too. I hope now you begin to see why we can never rely on the user to "interpret" for us the info we need and why we rather need the exact info such as: version, make, model and other details. Ditto for the exact text of the error message and the application is which occurs, rather than what the user "thinks" that it may mean or trigger it. You can find guides on how to take an upload screenshots of your displayed images in the Guides section of the forum. Now, this is a good job on describing your problem and that is how you should do it whenever you have a problem (as you did at point 3). I finally understood what you meant. What I can tell you so far is that the error which you see (as you probably already realized yourself) is reporting a problem with your Internet connection itself not with BitComet. BitTorrent clients place an unusually high stress on certain components of your system and while that isn't at all bad by itself, it sometimes makes come to surface hidden hardware or software issues lying in the system which weren't very visible otherwise. That is to say, in this case BitComet is rather the victim than the cause. BitComet, just as any other BitTorrent client works by opening huge numbers of simultaneous connections to different IPs on the Internet (those of your peers). This usually puts to work and testes to the limit your router (when you're using one). My guess (but it's only a guess so far) is that your router may not be coping with the big number of connections and it crashes or restarts. Now, we're going to still need those screenshots, so make sure you post them. Also we'll need you to tell us what firewall/security suite/antivirus you use. In the meantime there are a couple of tests you could make to narrow this down. 1. If you can get your hands on another modem device and replace yours with that one (try borrowing from a friend) just for testing sake, you could diagnose if the problem truly lies with your modem. 2. If you can't switch modems then try disabling DHT, eMule, LT-Seeding and Torrent Exchange in BitComet. After that, go on the Options-->Advanced page in BitComet and limit the network.max_connections parameter to a low value, such as 200. If you won't get anymore network crash issues for a long enough while (a couple of days) you can try increasing the value to 300, 400, and so on, until you find a value that makes your modem crash. Then stay below that value to insure problem-free functioning. That is, assuming this is the reason of the issue. Are you always using the Scheduler? If yes, then you need to post a screenshot of the Scheduler page instead of Connection. If not you need to disable it and then cap your upload speed to 80% of your tested upload (i.e. ~ 86KB/s). Also a screenshot of the Statistics tab would be much more useful than the one of the Start page. Does the issue still manifest itself when BC is downloading? Yep, but if you look closely at your own screenshot you will see below the textbox that 0 means "Auto". So, instead of leaving it on "auto" you will limit it at 200.